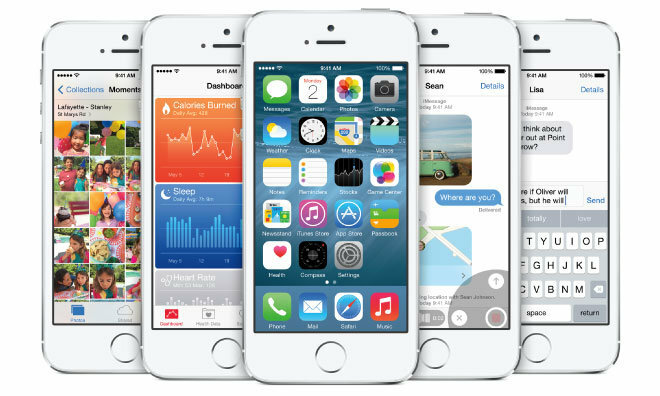 Apple's next-generation mobile operating system was unveiled at the 2014 Worldwide Developers Conference on June 2. While refining the "flat" aesthetic introduced last year, Apple also packs powerful new features into iOS 8 like QuickType, HealthKit and PhotoKit. Existing infrastructure has been bolstered, including a revamped Notifications pane, Messages enhancements and all-new Siri capabilities. All-new features and capabilities will debut alongside enhanced versions of popular assets like Siri and deeper integration with the upcoming OS X 10.10 Yosemite. Apple took the wraps off its latest iOS 8 platform at WWDC 2014, outlining a laundry list of new features that took some spectators by surprise. For example, the company will be opening up its camera APIs for the first time, effectively offering complete manual control of the iPhone and iPad's imaging system to third-party app developers. 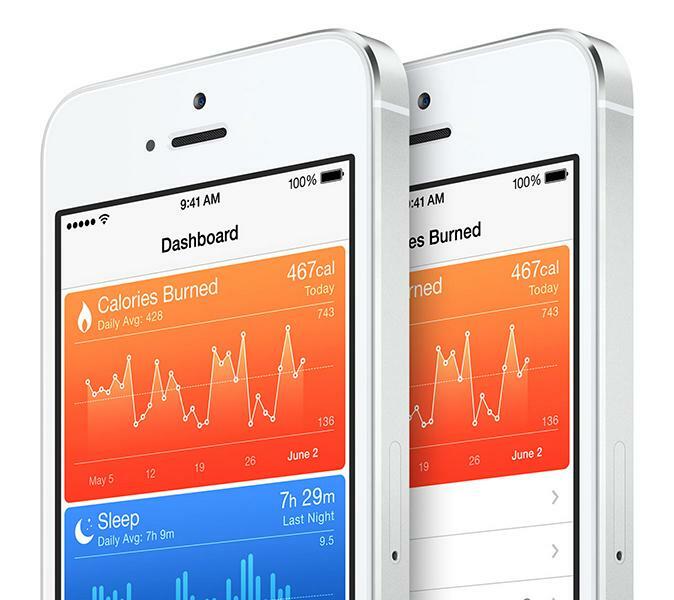 HealthKit is the basis for iOS 8's Health app. Brand new apps like Health and HomeKit make iOS 8 devices the central hub of a user's digital life. Based on HealthKit, a framework that hooks into third-party fitness and wellness apps, Health aggregates relevant activity and fitness data in a single repository. What's more, users can enter information into Health, which can then ferry the data off to respective apps tapping into the hub's API. This two-way street opens the door for developers to create close-knit software that functions seamlessly with iOS. During the WWDC keynote, Apple gave the example of a partnership with the Mayo Clinic, which is building an app that can monitor a user's blood pressure measurements and automatically inform doctors if a reading looks suspicious without leaving the Health app. HomeKit is basically a one-stop shop for all things connected. Apple is partnering with a variety of brands to offer control of so-called "smart home" products like Internet-connected thermostats, lighting, appliances and even garage doors. The system hooks into Siri, which is able to receive commands to select from "scenes," or groups of device settings predefined by the user. Siri itself has been updated with Shazam song recognition integration and the ability to make purchases from the iTunes store. 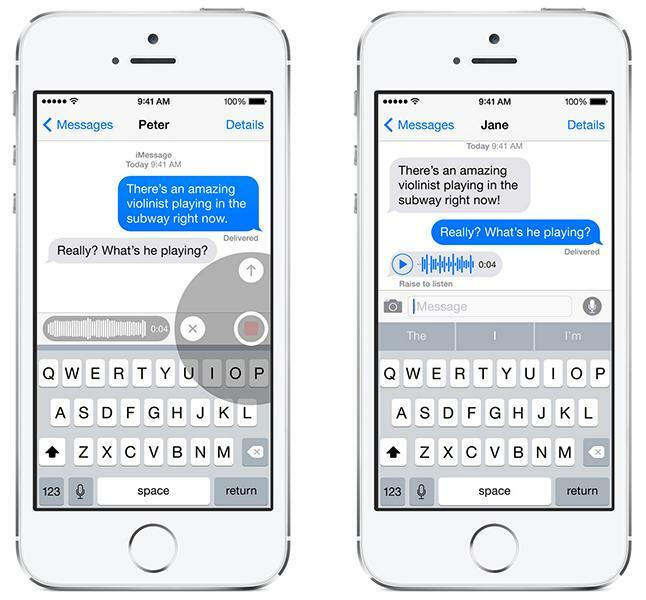 QuickType is a new predictive text input system that automatically recognizes the type of message being written, to whom and in what context. 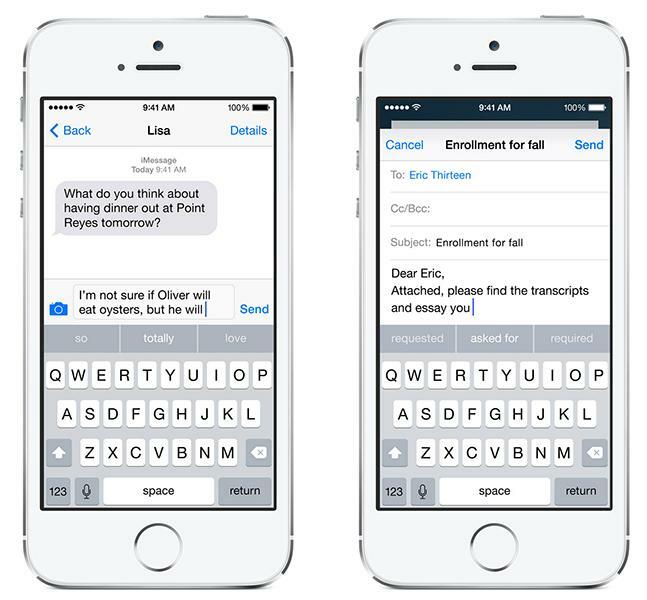 Apple claims QuickType will suggest what words should be used next based on contextual clues, including conversation styles that may switch between work, friends, family and more. 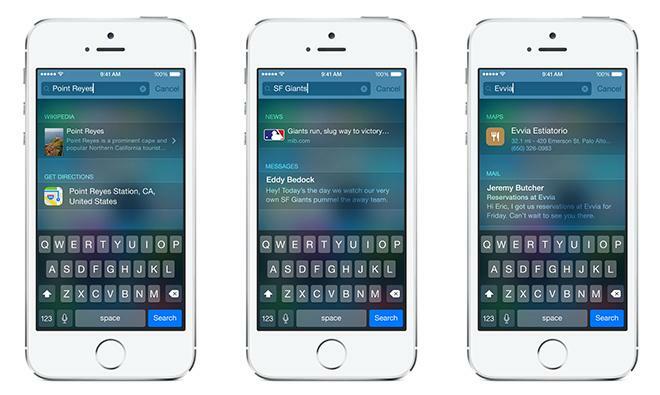 Predictive text is slated for localization in 14 languages at launch. In addition to QuickType, Apple is allowing the installation of system-wide third-party keyboards that can be kept offline for user privacy. Messages has also gained a few tricks like the ability to silence group chats, or leave them altogether. Voice messages and video can also be sent inline with text, while SMS texts will show up on Macs. Integration with OS X 10.10 Yosemite is a big part of iOS 8. Users will be able to place and receive phone calls on their Mac, transport edited emails and documents via Handoff and create instant hotspots, among other new capabilities. System utilities are also revamped, with Spotlight gaining buffed-out functionality through context-aware searches, expanded resources and iTunes Store integration. Spotlight offers instant results across a variety of sources and the feature even works in Safari. Other changes include iCloud Drive support, new camera modes, robust photo adjustments and an option to share purchased content with family members.